“What’s the ‘CSR? '” you ask? It stands for “Corporate Social Responsibility,” and it’s what companies build into their own charters in order to self-regulate and ensure ethical liability. Basically, it’s a self-formed mandate that indicates that the company in question will not practice bad stuff, like child labor. 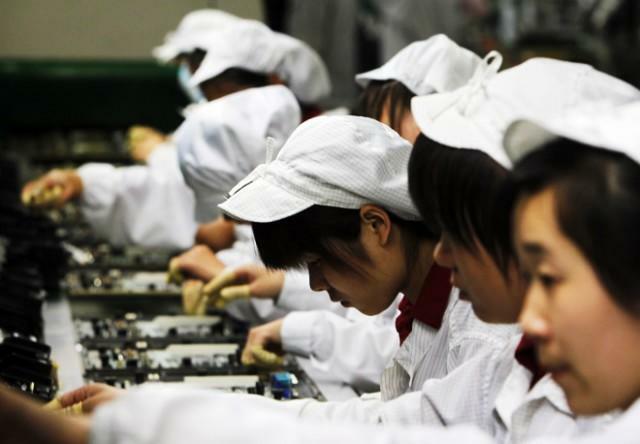 It was recently revealed that Foxconn, the factory that makes and assembles parts for a whole slop of the world’s biggest technologies, was using underage workers in the production of a few components for Nintendo’s upcoming Wii U. In the story that we wrote on the matter, Nintendo indicated that they were going to investigate Foxconn’s wrongdoings. “Nintendo was concerned to learn that underage individuals had been working at a Foxconn facility in China where components for some Nintendo products are produced. Nintendo investigated the incident and determined that this was a violation of the Nintendo Corporate Social Responsibility (CSR) Procurement Guidelines that all Nintendo production partners are required to follow, based on relevant laws, international standards and guidelines. Foxconn has taken full responsibility for this incident and has moved quickly to ensure that all affected individuals no longer work at Foxconn. In fact, Foxconn’s own policies prohibit the employment of underage individuals and the company has pledged to Nintendo via direct communications to improve its process of enforcing this policy to avoid any similar issues in the future. What does that amount to? Foxconn said sorry, they claimed they showed the working kids the door and promise to never do it again. Nintendo says they’ll keep checking to make sure that’s the case. I get that companies like Nintendo and Apple gain a lot by turning to places like Foxconn for assembly; however, there’s no way the manufacturing company is done with these ethical violations. On TechnoBuffalo alone, there have been a metric ton of stories related to Foxconn’s problems. When are they going to change? My bet is on never, unfortunately.